The Texas Shoofly quilt block is a good choice for a beginner quilter as it combines simple shapes to make a pleasing quilt block. Rectangles, squares and half square triangle pieces are used to make this basic nine patch. 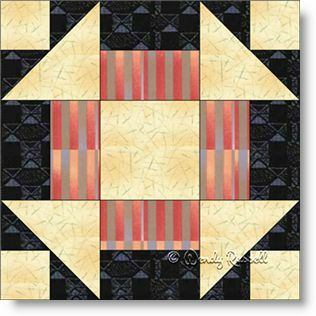 The sample quilts illustrated show just how versatile this block is, simply by changing up the layout of the blocks and adding sashing to the final quilts. Let your imagination begin.